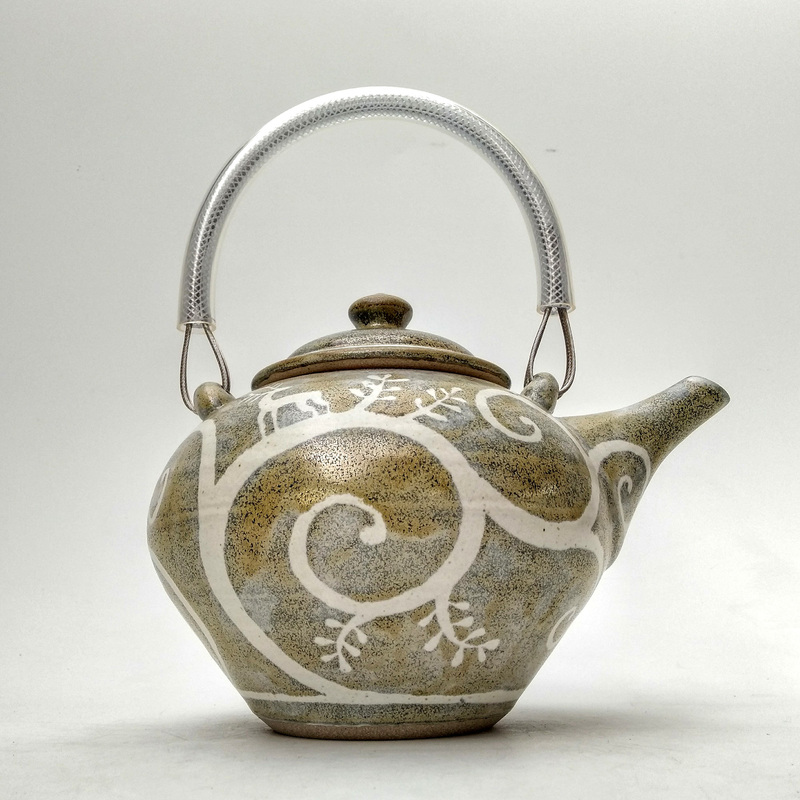 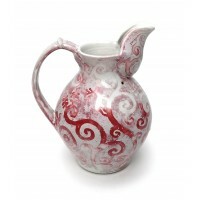 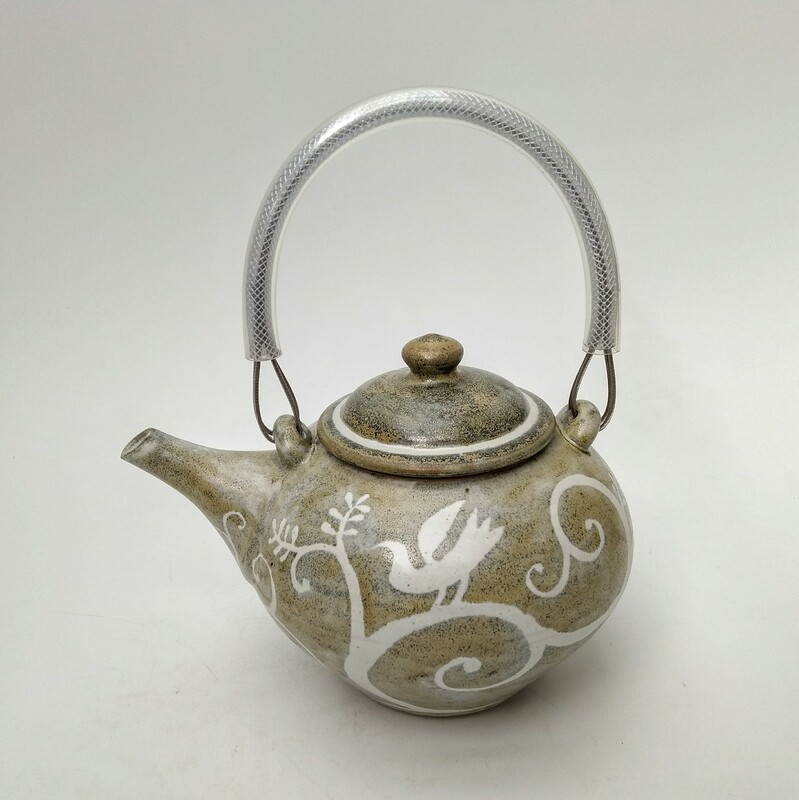 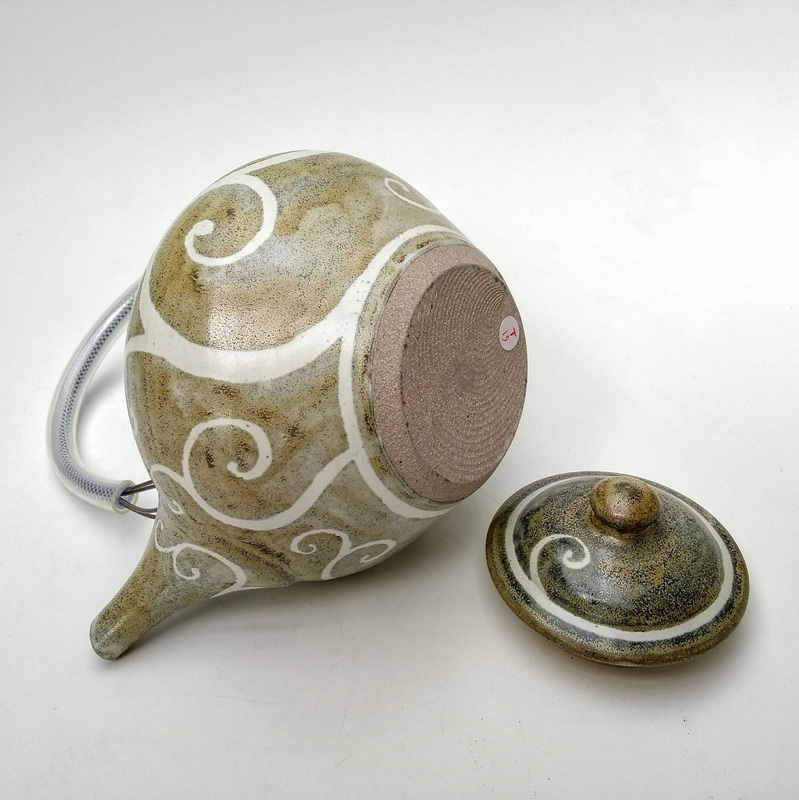 A hand thrown stoneware Teapot with grey and white resist glaze decoration. 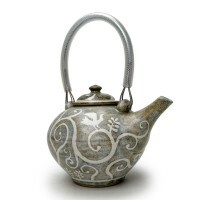 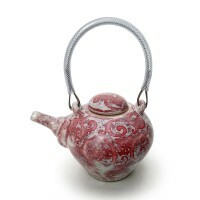 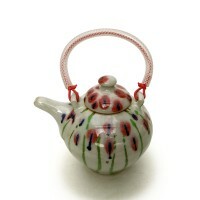 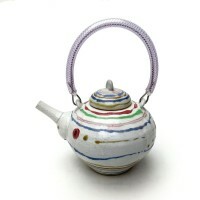 This teapot has a stainless steel wire rope handle with reinforced polypropylene sheath. 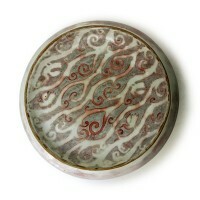 Stoneware, reduction fired to Orton cone 9. 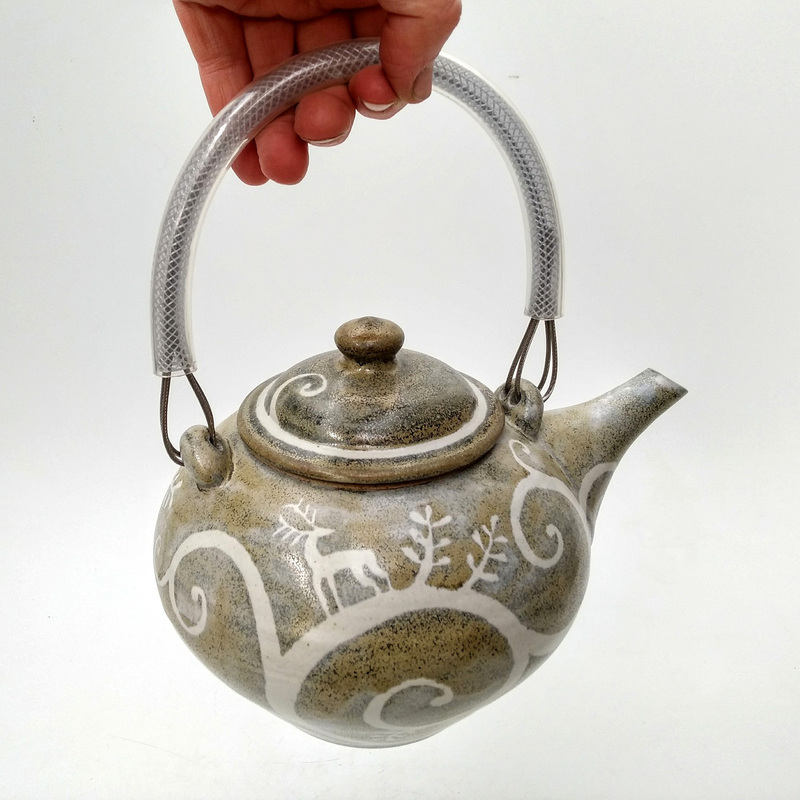 The teapot has a good spout with plenty of holes to let the liquid pour. 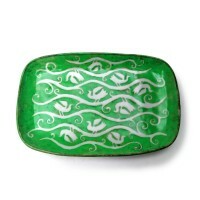 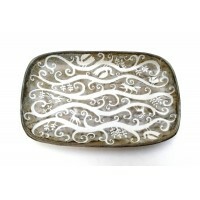 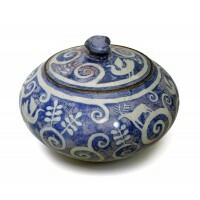 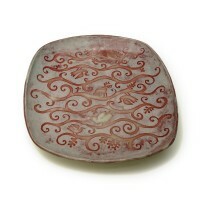 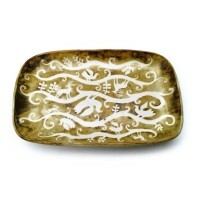 Dimensions excluding handle: 6" height x 8" diameter. 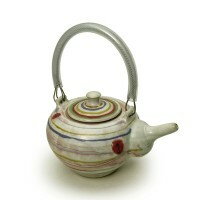 Care instructions: This item should be hand washed.